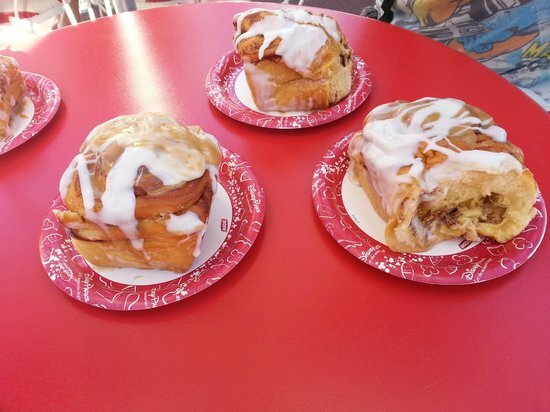 Nothing says “good morning” like a freshly baked cinnamon roll. Especially as you are ready to start your magical day at Disney! 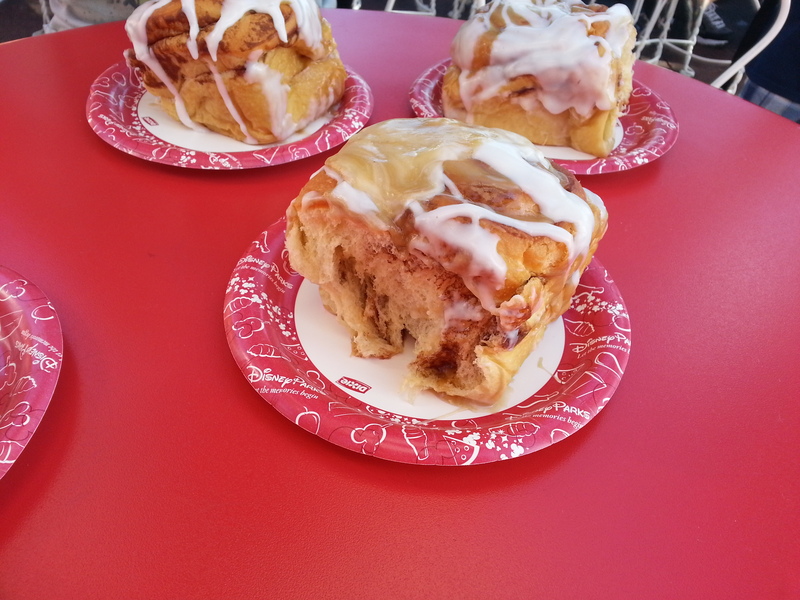 The famed Cinnamon Roll from Main Street Bakery can be found with a twist at Gaston’s Tavern, but this recipe comes straight from the vault. 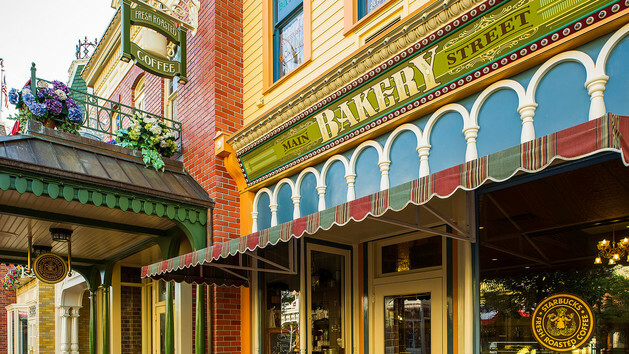 Follow this recipe and reminisce the good times of starting your day off right at the Main Street Bakery! In small bowl, combine water, yeast, and sugar. Stir until dissolved and set aside. In large bowl, mix pudding according to package instructions with milk. Add 1/2 cup melted butter, egg, and salt. Mix well, then add yeast mixture and blend well. Gradually add flour and knead until smooth. Place in a very large greased bowl. Cover and let rise in a warm place until double in size. Punch down and let rise again for second time. Roll dough on a very large floured surface. Dough should roll out to a long rectangle, about 34 x 21 inches in size. Take the 1 cup of melted butter and use a pastry brush to spread over entire dough surface. In small bowl, mix together the brown sugar and cinnamon. Sprinkle over top of buttered dough. Roll dough up like a jelly roll. Measure dough every 2 inches and cut with a knife. 14 Take each roll into the palm of your hand and gently pack the roll (this keeps it from coming apart during baking). Place each roll in a buttered baking pan and allow to rise in a warm place for about 20 minutes. Bake in a preheated 350 degree oven until golden brown in color, about 15-20 minutes. Spread frosting while warm. In mixing bowl, combine all ingredients and mix until smooth. Spread on the warm rolls.